The Light Blue staff and three guest riders headed down to London for the 8th annual Tweed Run. 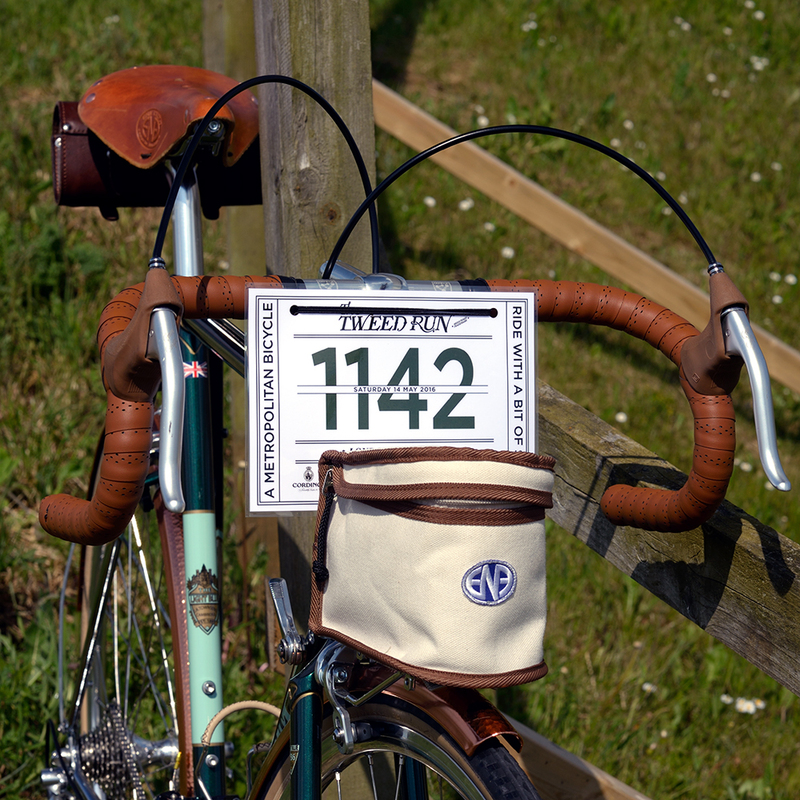 The weather forecast could have been better last Saturday, but six Ison Distribution/The Light Blue staff and three guest riders still headed down to London for the 8th annual Tweed Run. Directors Paula and Lloyd Townsend, internal sales guys Dave Reeve and Adam Baker and their girlfriends Vics and Caroline, South East sales rep Duncan Kennedy, along with Light Blue brand manager Steve Clarke and his wife Lindsay, had all decided that it sounded like a fun way to spend a day in the capital. The previous weeks had been spent working on suitable Tweed-based outfits and this in some cases had become somewhat last minute. You wouldn’t have known however, as all of ‘Team The Light Blue’ looked exceedingly dandy in their slightly eccentric get ups! Our 10am rendezvous was outside the organiser’s, Bourne & Hollingsworth’s base in Northampton Road, Clerkenwell. 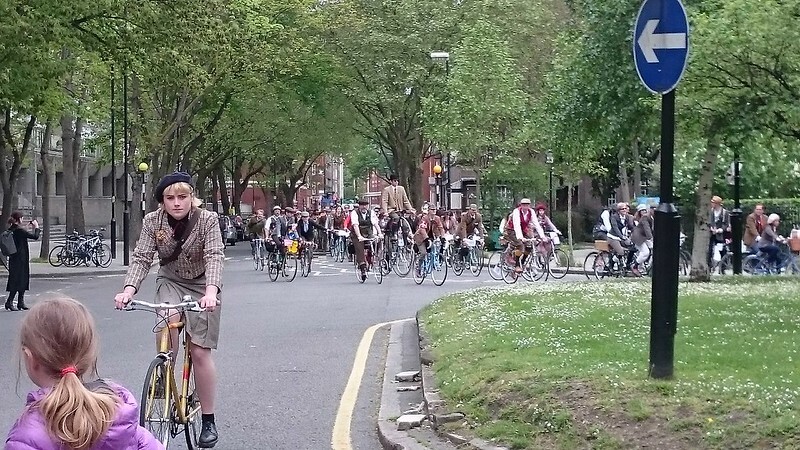 The leafy central London street quickly filled with hundred’s tweed clad cyclists on all kinds of velocipede, but ours instantly attracted attention of other participants, the press and passers-by. Adoring looks, photos and even an interview for a Japanese cycling publication meant we were kept busy until we started the ride at 11am. I say ride, but it was pretty much a stop/start affair, the whole day through, not that, it really mattered, as we set off on our sightseeing tour of the capital. After an hour and half and two miles (yes, you read it right) we ended up at the quiet Tavistock Square Gardens for a tea stop, and jolly quaint it was too, with the beverages served in china tea cups. After a lengthy and well-earned rest, we headed on our way. Through Fitzrovia and Marylebone and along the Bayswater Road at the side of Hyde Park. We passed through Kensington to our lunch/picnic stop at Kensington Gardens and unfurled our picnic blankets and tucked into our various pack ups. After lunch the assembled riders gathered in front of the impressive Royal Albert Memorial for a group shot before heading off on the second half of the ride. The afternoon saw us pass by more of the sights and lots of tourists as we became one of the attractions. Buckingham Palace, Big Ben, Westminster Abbey, over Westminster Bridge, round by the London Eye, the National Theatre and back over the river via Blackfriars Bridge. Then a short hop back to where we started and Spa Fields Park. All agreed it was indeed a splendid day out, slightly quirky and not much of a bike ride, but what great fun, dressing up and gently pedalling around the streets of London aboard our Light Blue bicycles. I’m pretty sure we’ll be back next year.